We tie the weaknesses of our knowledge with the tight knots of our truths. The idea of a psyche within and the world outside us is so evident and true that, from a tight knot, it became part of the fabric of our knowledge. Put in other words, our belief in separation and independence of psyche and matter is so natural and immediate that resists situations that challenge its veracity. These situations, in turn, held on to us and became new knots that are now part of our fabric of knowledge. We must face our fear of not knowing, loosening such knots in order to enrich with new motifs the composition of this fabric, which insists in opening up and expanding. The phenomenon of synchronicity and the discoveries of quantum physics compel us to re-evaluate our scientific truths based on deterministic parameters. Synchronicity, as described by Jung, is a connection between a psychic, subjective event, and an external physical event, according to its meaning and not due to cause and effect. Inserted into an acausal order, it raises questions on the relationship between psyche and matter. The findings of quantum physics also demand from us new ways of seeing reality. The psyche of the observer has proven crucial, affecting the results of experimentation with matter, pointing out once again the interaction of psyche and matter. How can we ignore these findings? We can say that physics has explored the objectivity of matter leading to the psychic, while depth psychology moved towards subjectivity and found objective patterns of the psyche, the archetypes, that make up the collective unconscious. Our scientific paradigm has to be urgently reconsidered. We should be able to perceive the connective wholeness underlying our causal relationships, which we insist in disregarding, overshadowed by the materialist scientific model that we see as the only truth. 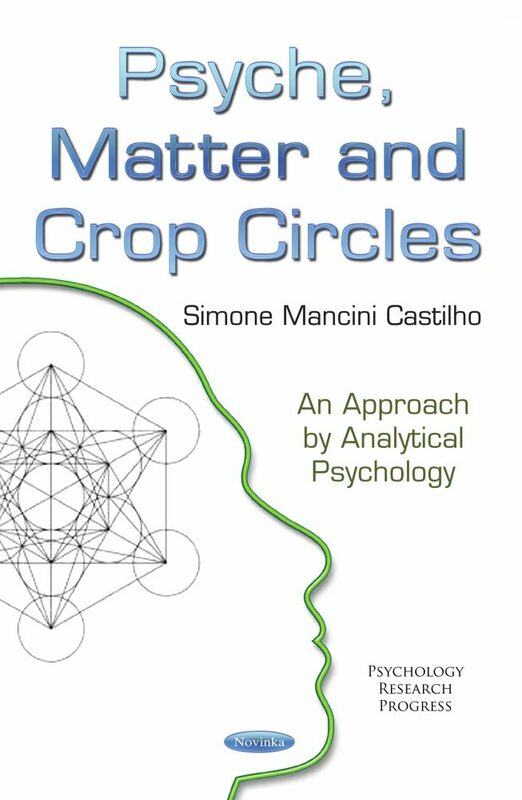 Last, the phenomenon of crop circles offers us the opportunity to expand our perception about the overall connection between ourselves and the world, as it tends to mirror our innermost psychic architecture drawing beautiful images on crop fields, challenging the boundaries between psyche and matter.